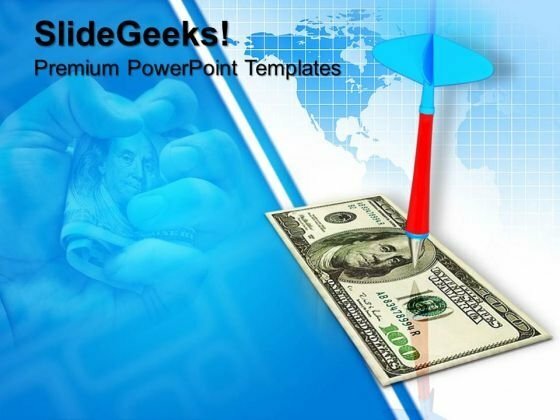 Concept Of Locked Money Industry PowerPoint Templates And PowerPoint Themes 1012-The above template displays a diagram of a dart hitting on the US Dollar which signifies the concept of financial growth. This image represents the concept of success in business. The ideas and plans are on your finger tips. Now imprint them on the minds of your audience via our slides.-Concept Of Locked Money Industry PowerPoint Templates And PowerPoint Themes 1012-This PowerPoint template can be used for presentations relating to-"Money and dart, security, targets, money, finance, business" Match your words with our designs with our Concept Of Locked Money Industry PowerPoint Templates And PowerPoint Themes 1012. You will be at the top of your game. Let your ideas spread like wildfire. Fan the flames with our Concept Of Locked Money Industry PowerPoint Templates And PowerPoint Themes 1012.